Do you find yourself yelling at your child more often than you'd like? You ask your son or daughter to do something three or four times and your request quickly progresses to yelling. You wish you didn't have this reoccurring so often, but are at your wits end to stop it. I've come across a particular pattern of a close mother-child bond between a yelling mother and a screaming child. I've seen this phenomena as a psychoanalyst often enough to notice some commonalities among these duos. Recognizing the patterns in these relationships can help to relieve them and calm everybody down resulting in a healthier bond and increased confidence in both mother and child. 1. Recognize that yelling increases the distress of both mother and child, rather than getting the task done. 2. Notice the frequency of when this happens. Observe there are repetitive routines that seem to promote it. 3. Leave enough time between the request and the task you are asking your child to do, so that you don't have to panic when you aren't listened to the first time. 4. If you have left enough time to wait for the request to be listened to, then you might ask your child what she is doing in a calm tone. Have a short conversation about what she tells you listening attentively. You'll notice you've both calmed down and she's ready to listen to your request. 5. At a time when there is nothing special going on, sit down with your child and explain what you've observed. Let her know that you want to change the yelling and screaming because you'll both be happier. 6. Once again, listen attentively to her responses. You might be surprised that she, too, wants to change this pattern. As for her ideas about the routine in question, perhaps you and she can come up with some rules for example, about morning teeth brushing before school. 7. Encourage your child to be independent. Put the list of rules in her room to follow each morning. Praise her ability to follow them on her own. Continue to reinforce this new pattern. What are the causes for the yelling and screaming? If this pattern has existed for several years, it won't be easy to change without some hard work at understanding both yourself and your child. 1. The mother was also raised with a yelling mother, so the impulse to do so is very ingrained. 2. The mother desperately wants to be a good mother and blames herself for the predicament. 3. Often this mother and her son or daughter have a very close bond. The child prefers her mother to friends, so she doesn't like to share her with others on outings with other mother-child pairs. 4. Sometimes the child screams in public if the parents and children she is with do not do things her way. She complains that if it just was her and her mother alone, they could enjoy themselves without having to regard others wishes. 5. An underlying problem is that the child appears social, but actually prefers to be alone doing her own thing or just being with her mother. 6. She may function very well with others in school or other activities when her mother is absent, although at events like parties she wants her mother to stay even though the other mothers are dropping their kids off. 1. Using Parental Intelligence means understanding there is meaning behind these behaviors. Instead of viewing the child's screaming as bad behavior, think of it as a message or communication that has meaning. 2. Using Parental Intelligence continue to reflect on the origins of your readiness to launch into yelling. Have patience with yourself knowing this pattern will only change gradually. 3. Using Parental Intelligence consider your child's stage of development. By age 5, the child should have impulse control and not react too quickly with others want ways that are different from your child's preference. This is a developmental problem to work on. Your job is to teach tolerating frustration and disappointment especially in public. Discuss this with your child. 4. 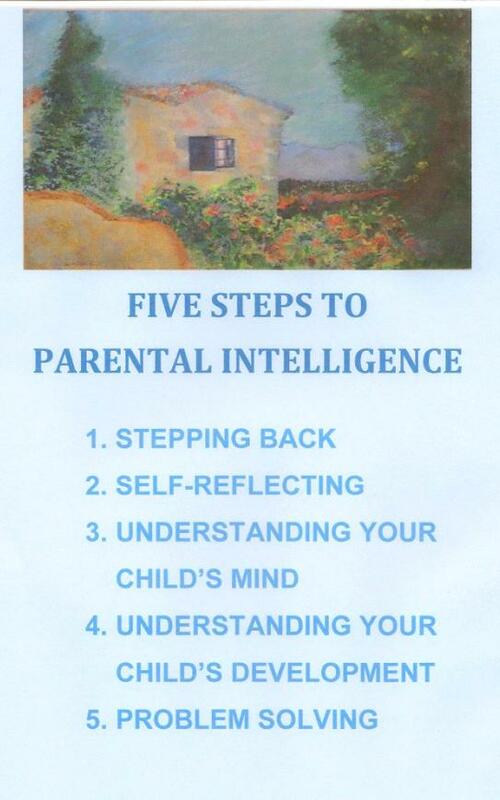 Using Parental Intelligence it is time to understand your child's mind. Discuss the close relationship you have that you both prize but begin to explain that as she grows older, like at ages 7 and beyond, making friends is part of growing up, not only having mommy as a friend. Listen carefully to her struggles with this so she feels understood. 5. Now it's problem solving time. Before an outing that includes peers and other parents, prepare her that some adults and kids will want to play in ways that may be different than expected. Introduce the word compromise so your child is prepared to give and take. This will probably take a lot of repetition, but your bond will remain secure as your child becomes more independent of you. Disentangling a too close attachment is difficult but necessary for the healthy growth of your child. Discussions and problem solving will become a new way of life for you both that replaces the yelling and screaming. Instead of responding immediately to your child's demands, you will be teaching your child to explain her wishes and intentions and you will do the same. Using Parental Intelligence creates a new way of parenting that leads to understanding yourself and your child much better and results in a healthier attachment. 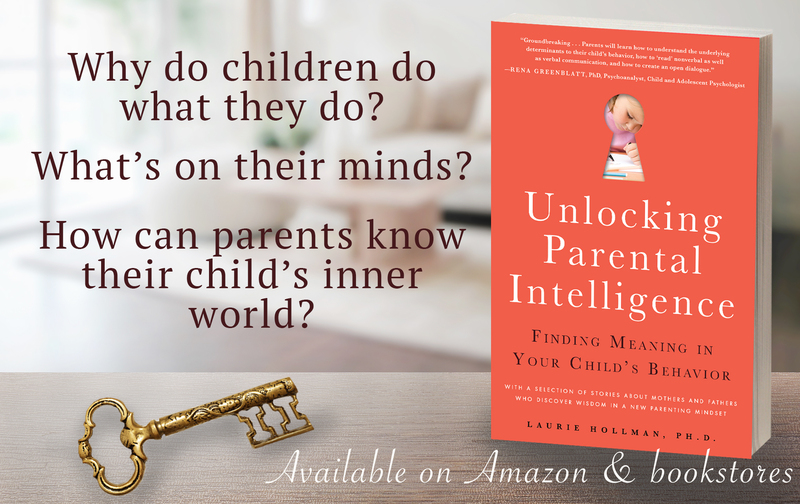 Laurie Hollman, Ph.D., is a psychoanalyst and author of Unlocking Parental Intelligence: Finding Meaning in Your Child's Behavior, found on Amazon, Barnes &Noble, Familius and wherever books are sold.